The plant is 20 to 50 cm high and has small feathery leaves on both sides of the stem. One seedpod contains two or three peas. The flowers are white- or reddish-blue. Chickpeas need a subtropical or tropical climate and more than 400 mm annual rain. It is often used as an alternative protein product with vegetarians and vegans and is one the plants with the highest amount of protein. There are 2 types: Desi (kala chana) - which are small, dark seeds and a rough coat (prevailing in the Indian subcontinent, Ethiopia, Mexico, Iran).Kabuli - which are light-coloured, larger seeds and a smoother coat (mainly grown in S Europe, N Africa, Afghanistan). Mature chickpeas can be eaten in salads, cooked in stews, ground into a flour called gram flour (also known as besan, and used in Indian cuisine), ground and shaped in balls and fried as falafel, stirred into a batter and baked to make farinata, cooked and ground into a paste called hummus, or roasted, spiced and eaten as a snack (e.g. leblebi). In India, where they are referred to as 'chana,' chickpeas provide a major source of protein in a predominantly vegetarian culture. Chick pea flour is used as a batter to coat various vegetables and meats before frying. Chickpea flour is also used to make 'Burmese tofu,' a food originating with the Shan people of Burma. 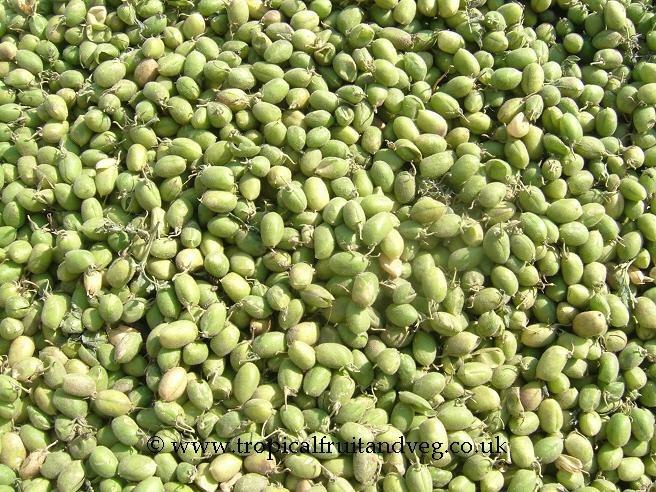 Unripe chickpeas are often picked out of the pod and eaten as a raw snack in many parts of India, and the plants are eaten there as a green vegetable in salads. Chickpeas are a good source of zinc and protein. They are also very high in dietary fibre and thus are a healthy food source, especially as a source of carbohydrates for persons with insulin sensitivity or diabetes. They are low in fat, and most of the fat content is monounsaturated. Requires a hot sunny climate and will tolerate drought once established. 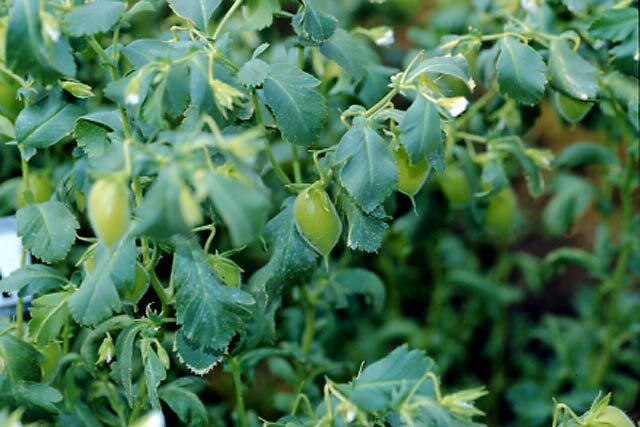 The chickpea plant prefers well drained sandy and loamy soils. The plant does best in alkaline soil. It cannot grow in the shade. It requires dry or moist soil and can tolerate drought.